P.D. 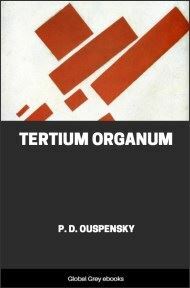 Ouspensky was a leading and influential figure in occult and mystical thought and philosophy, most famous for his seminal work, Tertium Organum. 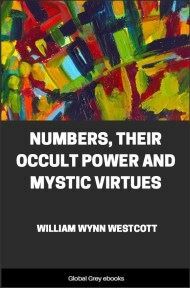 Here he delves into the mystical symbolism of the Major Arcana of the tarot; this book reads more like poetry than a 'how to' book, and will illuminate your imagination with visions that will add depth and meaning to your readings and understanding of the mystery of tarot. Although represented as a pack of cards, the Tarot really is something quite different. It can be "read" in a variety of ways. As one instance, I shall give a metaphysical interpretation of the general meaning or of the general content of the book of Tarot, that is to say, its metaphysical title, which will plainly show that this work could not have been invented by illiterate gypsies of the fourteenth century. The Tarot falls into three divisions: The first part has twenty-one numbered cards; the second part has one card 0; the third part has fifty-six cards, i. e., the four suits of fourteen cards. Moreover, the second part appears to be a link between the first and third parts, since all the fifty-six cards of the third part together are equal to the card 0. Now, if we imagine twenty-one cards disposed in the shape of a triangle, seven cards on each side, a point in the centre of the triangle represented by the zero card, and a square round the triangle (the square consisting of fifty-six cards, fourteen on each side), we shall have a representation of the relation between God, Man and the Universe, or the relation between the world of ideas, the consciousness of man and the physical world. The triangle is God (the Trinity) or the world of ideas, or the noumenal world. The point is man's soul. The square is the visible, physical or phenomenal world. 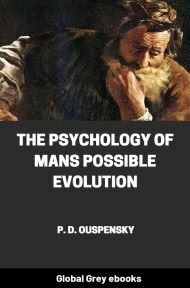 Potentially, the point is equal to the square, which means that all the visible world is contained in man's consciousness, is created in man's soul. And the soul itself is a point having no dimension in the world of the spirit, symbolized by the triangle. It is clear that such an idea could not have originated with ignorant people and clear also that the Tarot is something more than a pack of playing or fortune-telling cards. 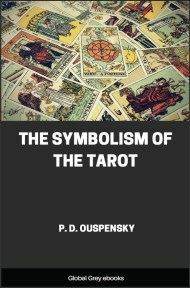 H. P. Blavatsky mentions the Tarot in her works, and we have some reason for believing that she studied the Tarot. It is known that she loved to "play patience". We do not know what she read in the cards as she played this game, but the author was told that Madame Blavatsky searched persistently and for a long time for a MSS. on the Tarot. In order to become acquainted with the Tarot, it is necessary to understand the basic ideas of the Kabala and of Alchemy. For it represents, as, indeed, many commentators of the Tarot think, a summary of the Hermetic Sciences--the Kabala, Alchemy, Astrology, Magic, with their different divisions. All these sciences, attributed to Hermes Trismegistus, really represent one system of a very broad and deep psychological investigation of the nature of man in his relation to the world of noumena (God, the world of Spirit) and to the world of phenomena (the visible, physical world). 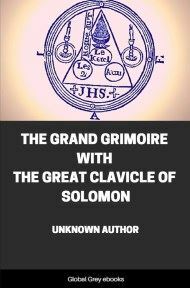 The letters of the Hebrew alphabet and the various allegories of the Kabala, the names of metals, acids and salts in alchemy; of planets and constellations in astrology; of good and evil spirits in magic--all these were only means to veil truth from the uninitiated. But when the true alchemist spoke of seeking for gold, he spoke of gold in the soul of man. And he called gold that which in the New Testament is called the Kingdom of Heaven, and in Buddhism, Nirvana. And when the true astrologer spoke of constellations and planets he spoke of constellations and planets in the soul of man, i.e., of the qualities of the human soul and its relations to God and to the world. And when the true Kabalist spoke of the Name of God, he sought this Name in the soul of man and in Nature, not in dead books, nor in biblical texts, as did the Kabalist-Scholastics. The Kabala, Alchemy, Astrology, Magic are parallel symbolical systems of psychology and metaphysics. Any alchemical sentence may be read in a Kabalistic or astrological way, but the meaning will always be psychological and metaphysical. We are surrounded by a wall built of our conceptions of the world, and are unable to look over this wall at the real world. The Kabala presents an effort to break this "enchanted circle". It investigates the world as it is, the world in itself. The world in itself, as the Kabalists hold, consists of four elements, or the four principles forming One. These four principles are represented by the four letters of the name of Jehovah. The basic idea of the Kabala consists in the study of the Name of God in its manifestation. Jehovah in Hebrew is spelt by four letters, Yod, He, Vau and He--I. H. V. H. To these four letters is given the deepest symbolical meaning. The first letter expresses the active principle, the beginning or first cause, motion, energy, "I"; the second letter expresses the passive element, inertia, quietude, "not I;" the third, the balance of opposites, "form"; and the fourth, the result or latent energy.